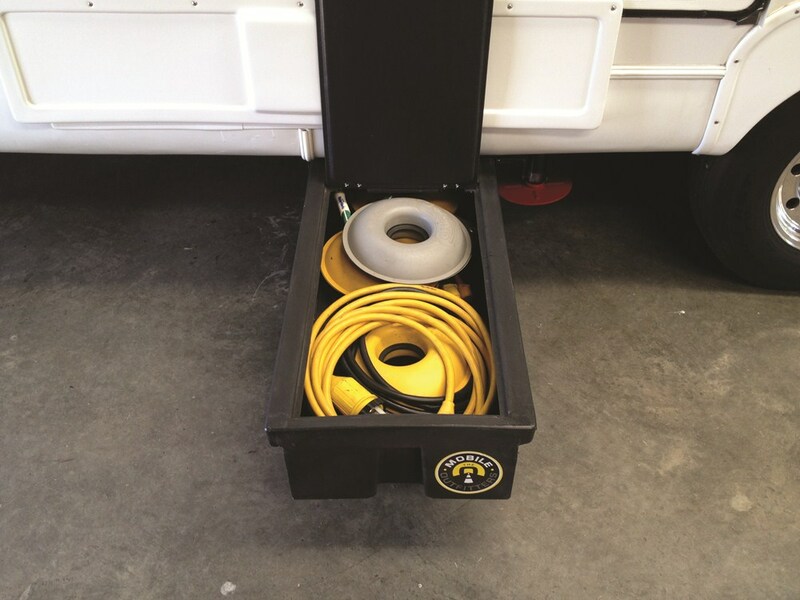 Stow supplies, tools, and a spare tire with this storage unit that mounts beneath your RV or trailer chassis. Two 27-7/8" long x 17" wide x 8" tall, slide-out bins with lids hold up to 100 lbs each. Bolts onto your trailer's frame. Lowest Prices for the best rv cargo from Lippert Components. Lippert Underchassis Double Bin Storage Unit w/ Spare Tire Carrier for RVs - 99-1/2" Long part number LC125460 can be ordered online at etrailer.com or call 800-298-8924 for expert service. Note: Because of the size of this item, it ships via truck freight. 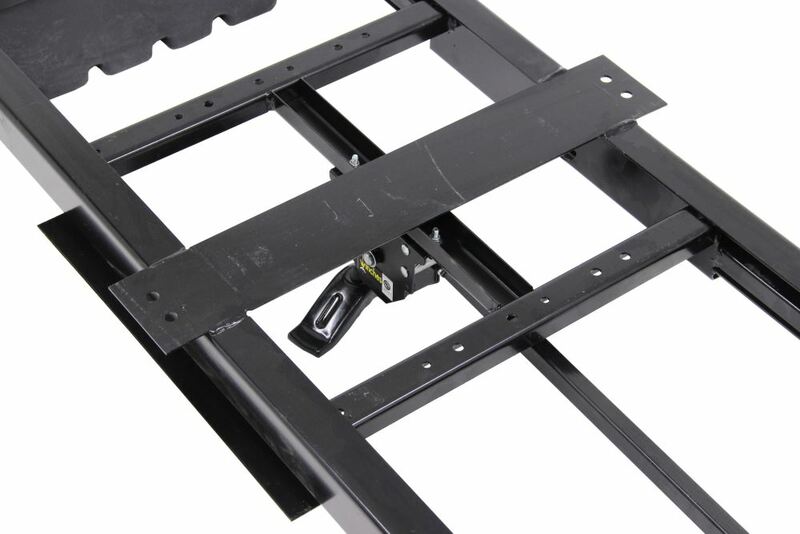 Kit includes brackets and hardware needed to install your Lippert tailgate storage rack (LC404069) to the top of your trailer's bumper. 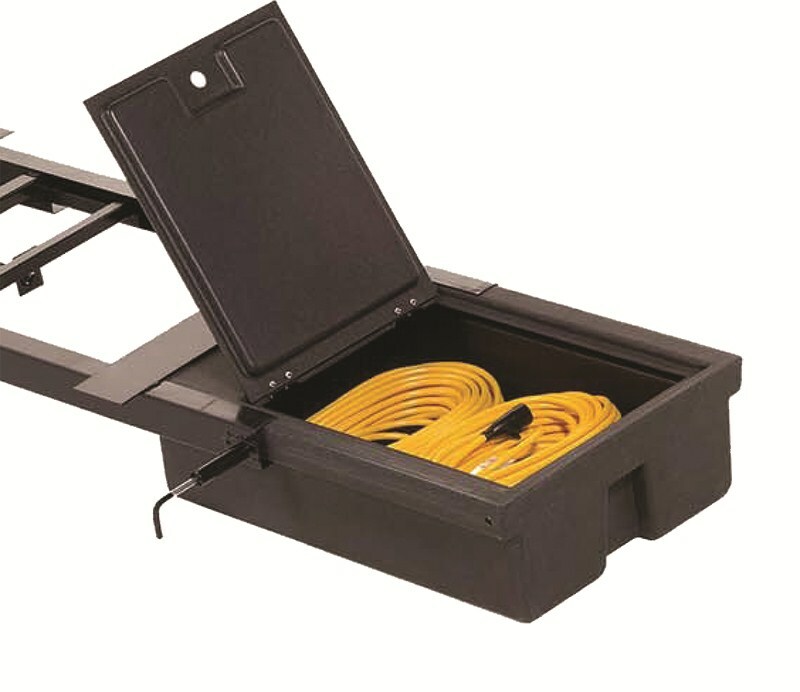 Order: RelevanceNewestRating - High to LowRating - Low to High Stow supplies, tools, and a spare tire with this storage unit that mounts beneath your RV or trailer chassis. Two 27-7/8" long x 17" wide x 8" tall, slide-out bins with lids hold up to 100 lbs each. Bolts onto your trailer's frame. Do you have a question about this RV Cargo? The overall measurements of the Lippert Underchassis Double Bin Storage Unit w/ Spare Tire Carrier # LC125460 is 99-1/2 inches long overall and 23 inches wide at the mounting brackets. 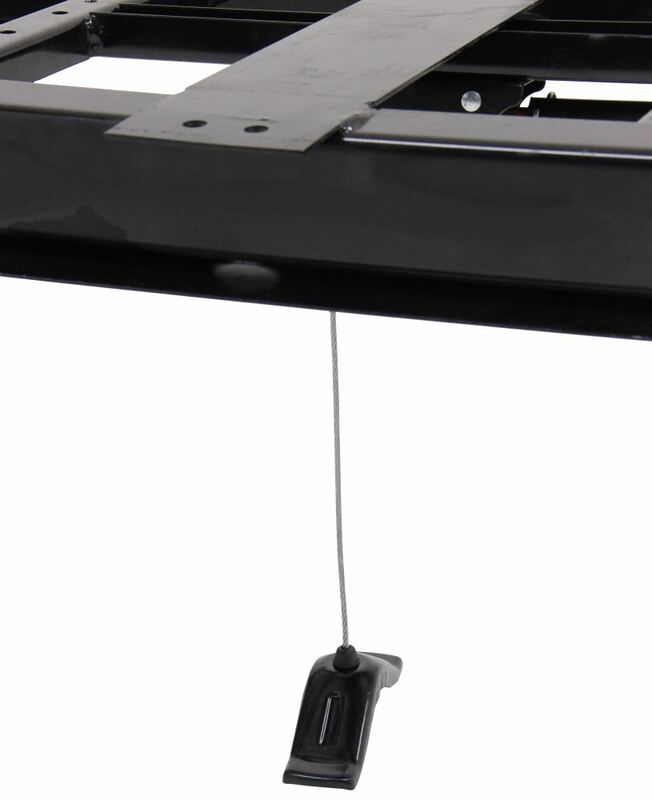 The length at the mounting brackets is 78 inches. Please see attached photos. Yes, the Lippert Underchassis Double Bin Storage Unit w/ Spare Tire Carrier # LC125460 that you referenced does come with a spare tire carrier. In the middle of the unit, between the bins, there is a spare tire carrier. 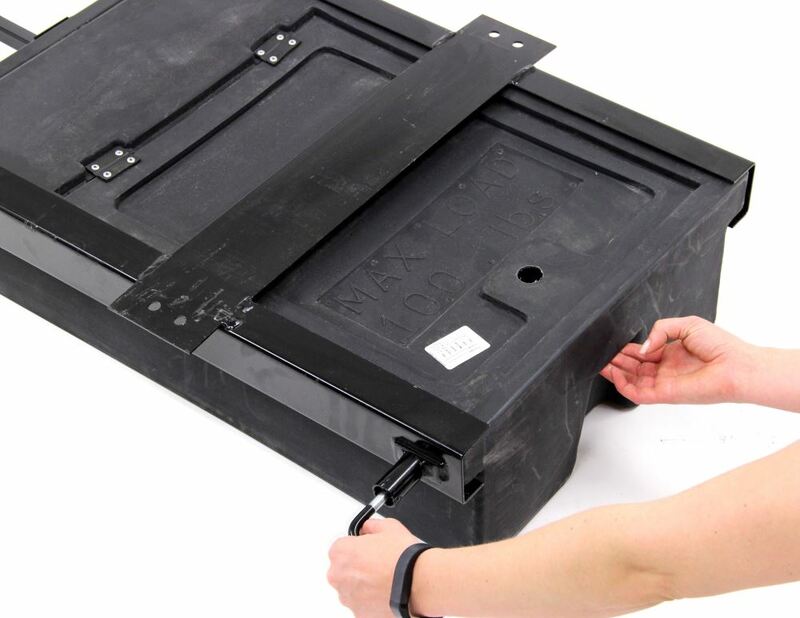 There is enough space between the bins on the Lippert underchassis storage unit # LC125460 for your 235/80-16 tire. The overall length of the Lippert storage unit is 99-1/2 inches and the bins collectively take about approximately 56 inches of space leaving approximately 43 inches in between them. Your tire has a diameter of approximately 31 inches so there is space. 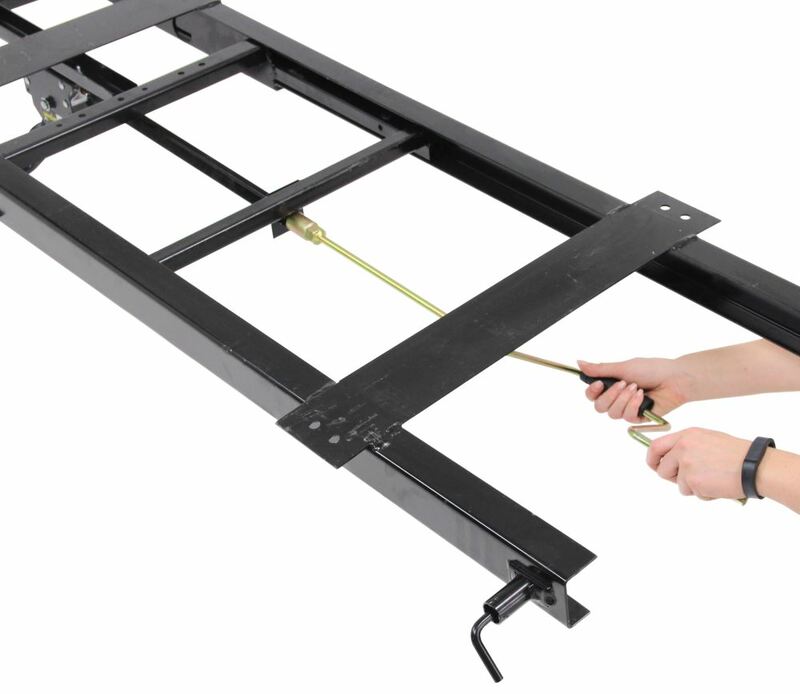 It is still possible to mount the Lippert storage unit # LC125460 on your 2014 Rockwood 5th wheel trailer. The storage unit attaches to the frame so even if the frame is covered you could still mount the unit by trimming away the covering (if possible). Because of this and because the gas line might have to be re-routed I recommend a professional installation by a trusted mechanic or RV dealer with a service center. 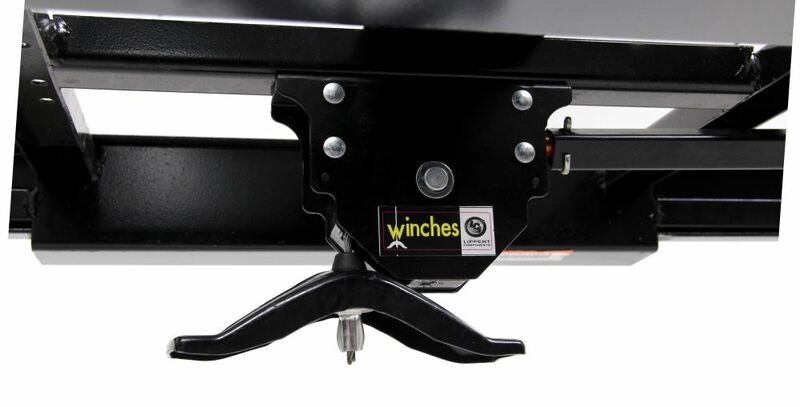 On the Lippert underchassis storage pin and spare tire mount # LC125460 the center to center distance between the mounting brackets is approximately 70-1/2 inches. I have included some links that show some additional measurements. The overall measurements of it are 99-1/2 inches long, 19-1/8 inches wide, and 8-1/4 inches tall. the height means that it will hang down from the frame 8-1/4 inches. I am attaching a picture that shows the dimensions for the Lippert Underchassis Double Bin Storage Unit # LC125460 that you referenced. You can use these to help you determine if/how it will fit on your 2018 Forest River Wildcat. The overall dimensions are 99-1/2" long x 19-1/8" wide x 8-1/4" tall with the individual bins measuring 27-7/8" long x 17" wide x 8" tall. The hook items you are referencing with the Lippert Underchassis Double Bin Storage Unit w/ Spare Tire Carrier # LC125460 are a reach rod and a crank for the spare tire carrier. 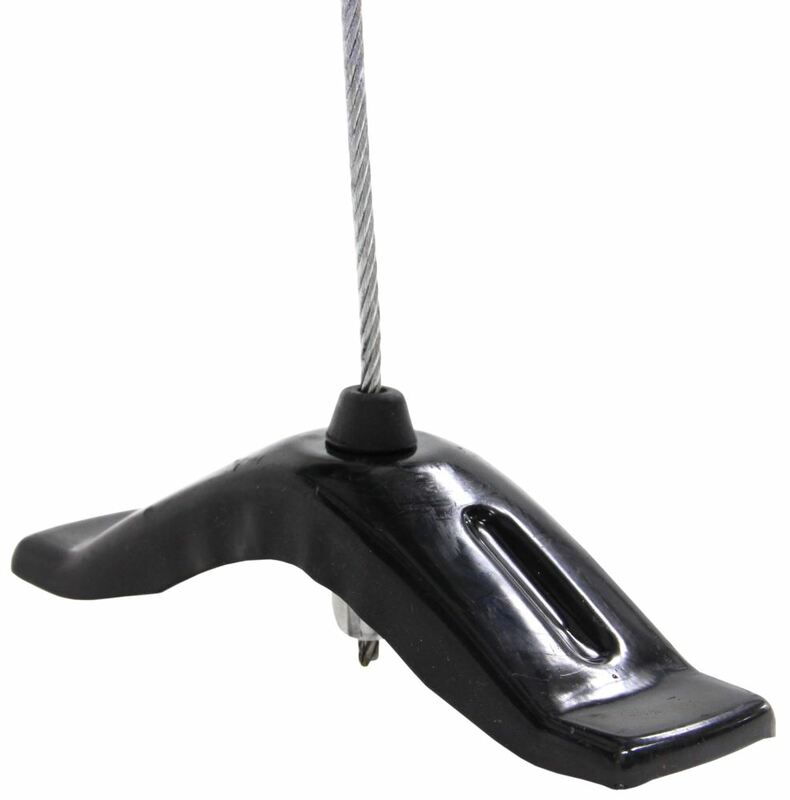 If you take a look at the accompanying photo you can see the crank handle being used. 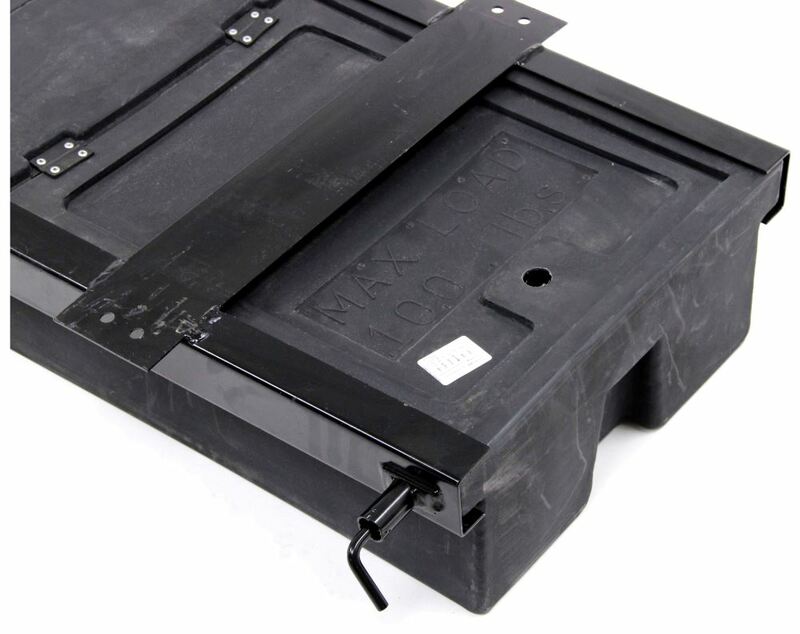 There is an under-chassis storage unit that comes with a spare tire carrier, although the Lippert # LC175180 does not. Instead you will want the Lippert Underchassis Double Bin Storage Unit w/ Spare Tire Carrier # LC125460 which is the same unit as the one you asked about but with a spare tire holder. 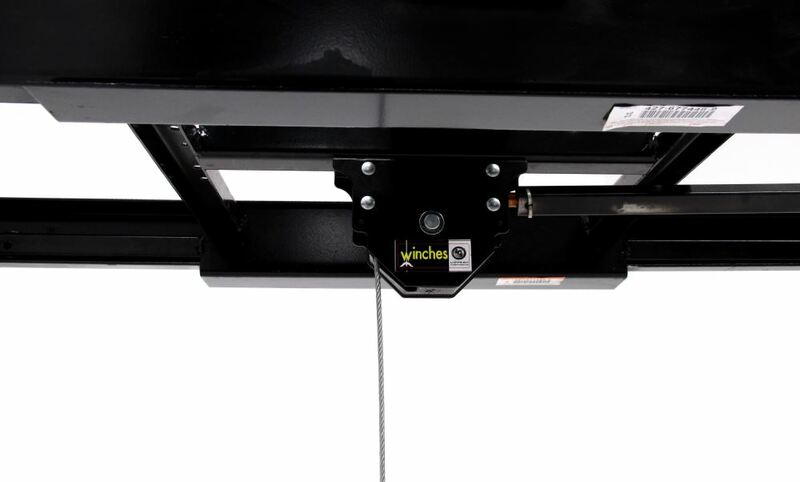 The spare tire winch included with the Lippert Underchassis Double Bin Storage Unit part # LC125460 has a 150 lb weight capacity. 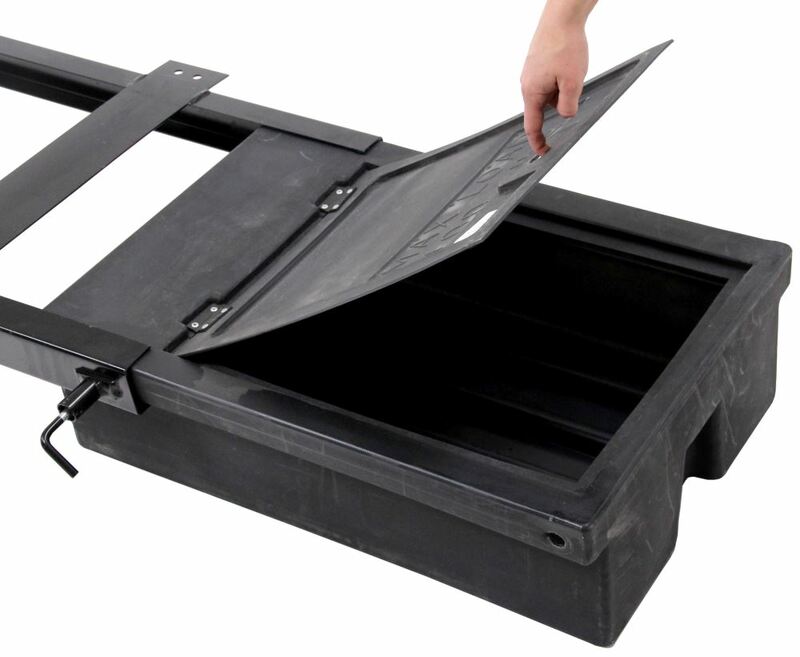 There is not a standard weight for all 245/70-19.5 wheel and tire assemblies therefore you would need to weigh one of yours in order to determine if it can be used with the Lippert Underchassis Double Bin Storage Unit. 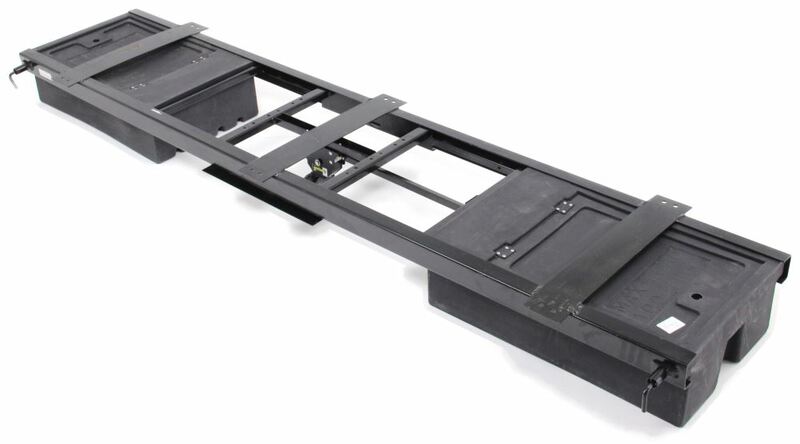 The Lippert Underchassis Double Bin Storage Unit # LC125460 has a shipping weight of 85 pounds. Subtracting a couple pounds for packaging and it is approximately 82 pounds. 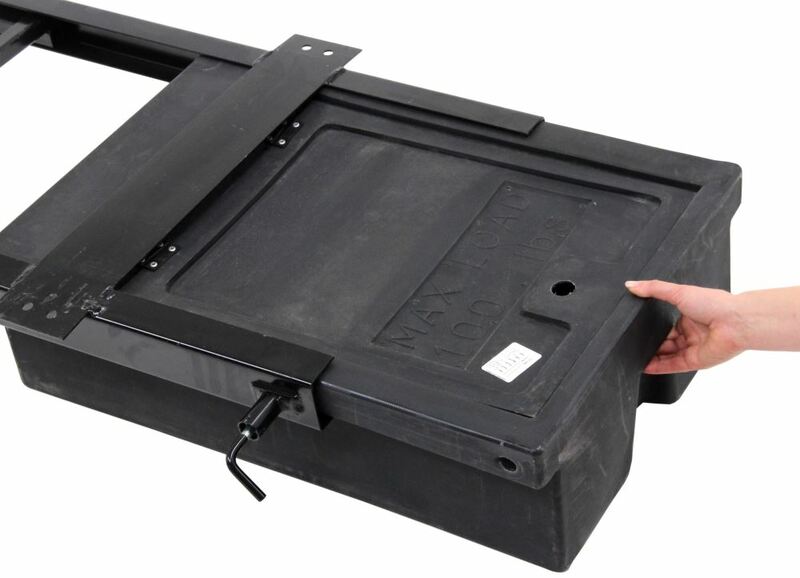 I spoke with a representative from Lippert who told me that the spare tire carrier on the Lippert Underchassis Double Bin Storage Unit w/ Spare Tire Carrier # LC125460 has a weight capacity of 150 lbs. Highest quality rv cargo for the best price. Most detailed, accurate rv cargo information available.